polyphenols to be useful to reduce fat, refine body’s metabolism, and anti aging. So many of those retreats have been budding around Bali, we can see the ads in the media, on billboards, our friends go to these silent retreats... What is this about? Retreat is a holistic way to reconnect with the inner self, the core, one’s internal power and consequently the rest of the world. Retreats give us opportunity to recharge, and unplug from stress, technology, and everyday routine with intent to get more clarity and make the necessary lifestyle changes. It’s something like hitting the restart button on computer, when we get in our own way. One of the greatest sensuous pleasures we can indulge in with our lover is in the spa. Give yourself over to the nurturing hands of an experienced therapist to soothe you, relax you, stroke you and to pamper you. What better way than to share a wonderful experience in a spa? For a special occasion like a honeymoon, birthday, wedding, a reunion or a budding romance make a memorable celebration of your love with a specially tailored spa ritual. My partner had just returned from Canada after a long absence and I desired to make his visit a memorable one by sharing my favourite addiction of being pampered in the spa. 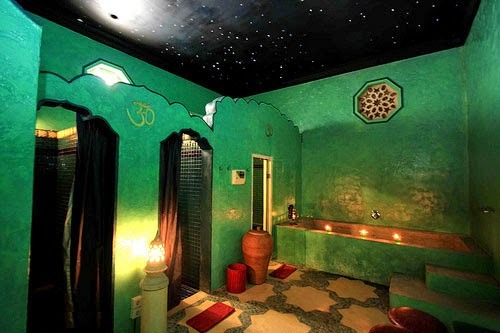 Here are some fabulous spas to indulge in hedonism. lot of mineral and is effective for energizing skin to make it smooth, elastic, bright and moisturize long lasting. The name says it all at Radiantly Alive, an eco-friendly yoga studio, yoga teacher training center, holistic healing hotspot and raw food cafe, conveniently located next to the Post Office in Ubud. This is the place to go to try a wide range of yoga styles, earn your certification to teach yoga around the world, or simply get a jump-start on a healthier and more radiant lifestyle. Abhiangga is one from many preventive healing at India. A way to body's cleansing which is written in Ayurveda with combination of Balinese massage for better blood circulation using hand technique massage, it will make our body relax and achieve the function of detox. Starting with massage using hot stone at the back of the body for better blood circulation and to add the balance of DOSHA (body's energy) it is effective for the body balancing. As far as yoga studios go, it doesn’t get more scenic than Intuitive Flow. Here you can practice your asanas while gazing out at the distant volcanic peak of Mount Agung on one side and the lush, green Campuhan Valley on the other. The upper level open-air studio offers pleasant breezes and bright sunlight that filters through the large sliding windows, and there is a separate area downstairs for private sessions and healing therapies. In addition to daily yoga classes, Intuitive flow also offers accredited teacher training programs, retreats and holistic therapies such as reiki and massage. Take one look at Komang Arnawa, and it’s clear he knows a thing or two about working out. As a world pro championship bodybuilder, Komang has in-depth experience in challenging the body to obtain the maximum performance in a safe and natural way. Now you can benefit from this knowledge to reach your fitness goals with Komang’s Bodiku fitness services at the KomangARNAWA Fitness center at the Sentosa Private Villas & Spa in Seminyak. Established by New York-born former supermodel and actress Navia Nguyen, AMO Spa is a haven of cool in Seminyak for all your beautifying needs. Services here range from simple cuts and colors to elaborate up-dos, purifying facials, reflexology, manis, pedis and more. With a solid reputation among expats, locals and visitors alike, AMO is always a hive of activity for those looking for pampering, touch-ups and complete makeovers. 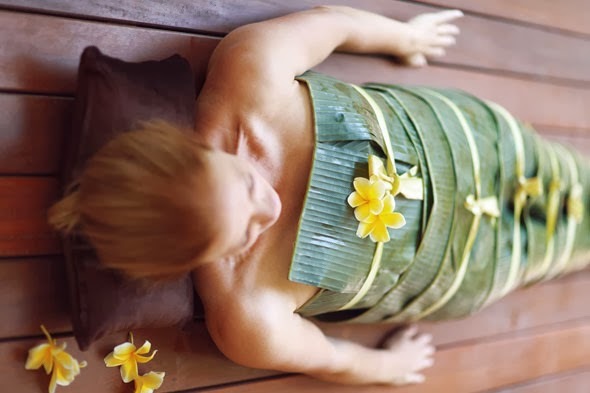 A trip to Seminyak isn’t complete without a bit of pampering and primping at one of the many spas on offer here. But how to choose the perfect corner of bliss where you can slip into a state of utter relaxation? We’re huge spa fans, so we’ve narrowed down the options for you to give you our Ultimate Bali approved list of some of Seminyak’s most sublime spas.